The aircraft will play an important role during Freedom Flyer Reunion. 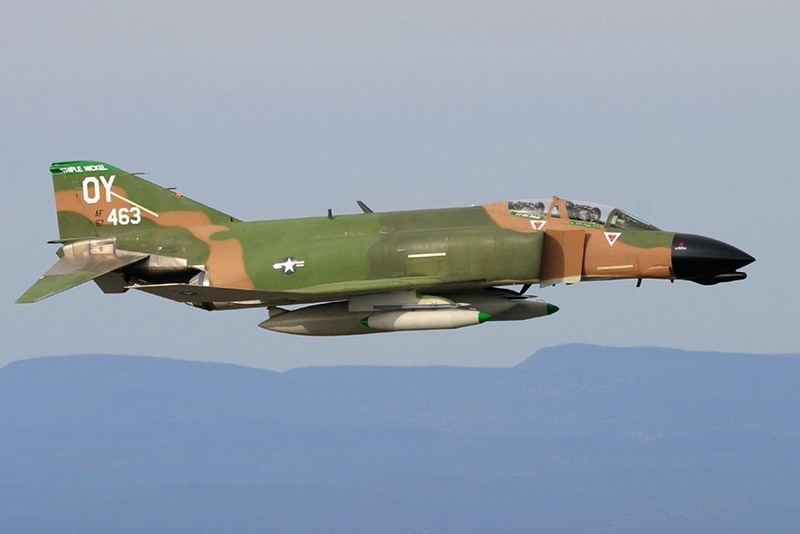 T-38C dons F-4’s colors for role during Freedom Flyer Reunion. One of the 560th FTS’ T-38C Talons has been repainted in the gray, green and tan colors of the Vietnam-era F-4 Phantom II, the fighter aircraft many Air Force pilots were flying when they were shot down over North Vietnam and taken to prisoner-of-war camps. The annual event honors all prisoners of war and missing in action service members from the Vietnam War and included a wreath-laying ceremony and a missing man formation flyover.